Experience a true weather station located 6,288 feet high. 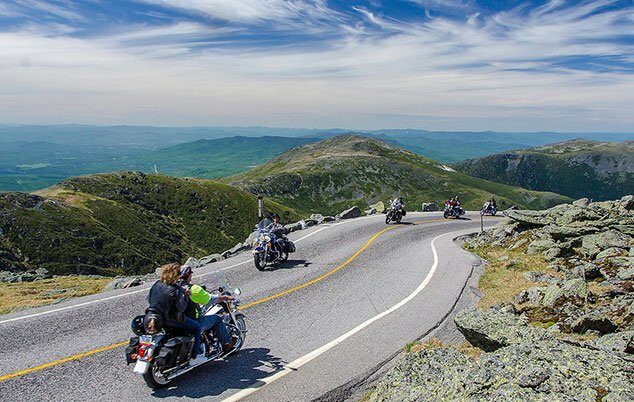 The Mount Washington Observatory offers summer weather station tours, winter summit adventures, and Extreme Mt. Washington, which features hands-on exhibits for a peek into the winter months in the White Mountains. Learn how rime ice forms, pilot a snowcat, and to see how Mount Washington Observatory scientists observe and record the conditions. Accessible by foot or via the Mt. Washington Auto Road in the summer, hike or drive up to the tallest peak for unparalleled views from the top. In a separate North Conway location, The Mount Washington Observatory Weather Discovery Center offers an interactive science museum featuring touch exhibits to explore the wonders of our atmosphere. Perfect for all ages, see how weather patterns are formed and change with exhibits like the giant air cannon, a real tornado, a wind room, and even a mini weather studio featuring an actual green screen and monitor. The Weather Discovery Center is also home to The Weather Store, featuring a unique collection of weather instruments, educational toys, and souvenirs. Observatory is open daily 10 am to 5 pm. from Mid-May to October. Tours hours vary. The Weather Center is open from 10 am to 3 pm October to April, and 10 am to 5 pm from May to September. What happens on the Mount Washington Observatory tour? Take a weather station tour and go behind the scenes of the impressive mountaintop weather station to get a glimpse into what it is like to live and work at a 6,288-foot elevation. Meet at the Sherman Adams Visitor Center, located on the tallest peak of Mt. Washington Valley, and meet your tour guide who is on deck to show you around the station and living chambers, and meet the scientists who will show you how they create forecasts. Tours are available whenever the Visitor Center is open (generally mid-May through mid-October), and reservations are suggested. Where is Mount Washington Observatory? The Mount Washington Observatory, weather station, and Extreme Mount Washington museum are located 6,288 feet high on the tallest peak on the summit of Mount Washington. The actual address is inside Mt. Washington State Park’s, Sherman Adams Visitor Center, which is accessible seasonally by car via the Mt. Washington Auto Road or visitors can hike up the designated trails from mid-May through mid-October. Once at the summit, proceed inside the Visitor Center and check in with the attendant. The Extreme Mount Washington museum is located on the lower level of the visitor's center. The Weather Discovery Center and administrative offices are located in the heart of North Conway Village, at 2779 White Mountain Highway, North Conway, NH 03860.